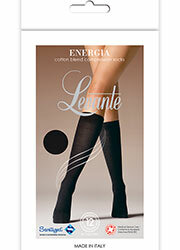 One of our best selling compression knee highs, Energia by Levante, is back. 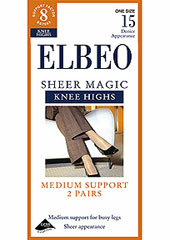 The mid compression design offers you a reprieve from foot ache and swelling by increasing blood flow to the whole leg. With a graduated compression, it is even better for the leg as it concentrates on those areas that really need its attention. These are some of the best knee highs you can get right now for support.